San Francisco, CA – July 11, 2013 – GreatSchools is pleased to announce a partnership with Zillow®, the leading real estate marketplace, to help families find a home to buy or rent at the same time that they search for a great school. Visitors to the GreatSchools.org website can now access the Zillow search experience, so that families can quickly click to detailed information about homes that are available near schools that they are considering for their children. 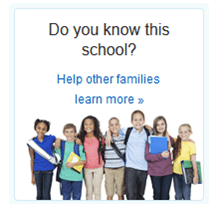 Additionally, school profiles from GreatSchools are incorporated into the Zillow website, enabling families to learn more about nearby schools while they are looking for a home. GreatSchools has arranged a variety of partnerships to provide families with rich information and insights about schools, and help parents get the best possible education for their children. Zillow is the leading online real estate company in the U.S., with a database of more than 110 million homes. Zillow is also an ideal partner for GreatSchools because the company provides a great user experience, especially on mobile devices. Mobile usage of the GreatSchools.org website has grown rapidly, and now brings 20% of total traffic to GreatSchools.org. San Francisco, CA — June 11, 2013 — Gallup and GreatSchools are launching a new partnership to bring a crucial — and often missing — voice into national discussions about school quality and education success: the voice of America’s students. Through this innovative partnership, Gallup will gather the perspectives of thousands of public school students in grades 5 through 12 and GreatSchools, the leading national online school guide, will share those insights on its profiles of K-12 schools. The Gallup Student Poll is a landmark new survey tracking the hope, engagement, and wellbeing of public school students across the U.S. In 2012, 1,700 public schools participated, enabling their students to take the free Gallup Student Poll. Beginning in fall 2013, the highest-scoring schools that take the Gallup Student Poll will receive a “Gallup Kids Approved” badge on their GreatSchools profiles. Hope — fuels problem solving and persistence, and helps students channel ideas and energy into producing positive outcomes. Engagement — includes factors like feeling welcomed, encouraged, and recognized for working hard. Wellbeing — measures how students are doing in multiple aspects of their lives, including their health, energy level and enjoyment. Gallup experts work with leaders in education to hire and develop talented educators, identify the strengths of each student, and create engaging learning environments — fostering long-term student success in the classroom and in future careers. The best educators know that for students to achieve meaningful, lasting success in the classroom and beyond, they must be emotionally engaged in the educational experience. This means educators must focus on students’ hope, engagement, and wellbeing — the predictors Gallup has discovered matter the most. Measuring and moving the needle on these outcomes transforms educational institutions into places where students — and educators — thrive. For more information, visit education.gallup.com, follow @GallupEducation, or contact Education@gallup.com. Founded in 1998, GreatSchools is a national nonprofit that helps parents get a great education for their children. Our Webby award-winning website, GreatSchools.org, helps families make crucial decisions about where to live and where to send their children to school. 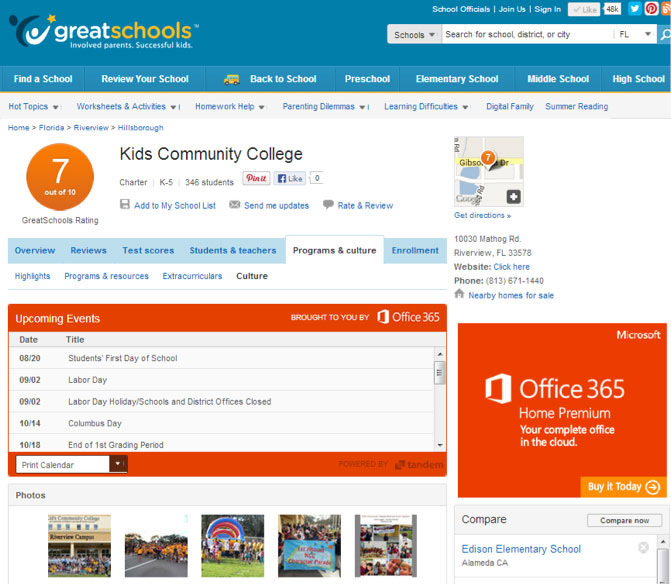 GreatSchools.org is the nation’s leading guide to preK-12 schools, with profiles of 200,000 public and private schools and more than one million ratings and reviews by parents, teachers, and students. In addition, GreatSchools.org offers thousands of articles, videos, and worksheets that give parents practical ways to support their children’s learning. Last year we reached 44 million people, including half of all U.S. families with school-age children. Headquartered in San Francisco, CA, GreatSchools has local chapters in Indianapolis, Milwaukee, and Washington, DC. Follow @GreatSchools, like GreatSchools on Facebook at facebook.com/greatschools, or see what GreatSchools has to share on Pinterest at pinterest.com/greatschools.